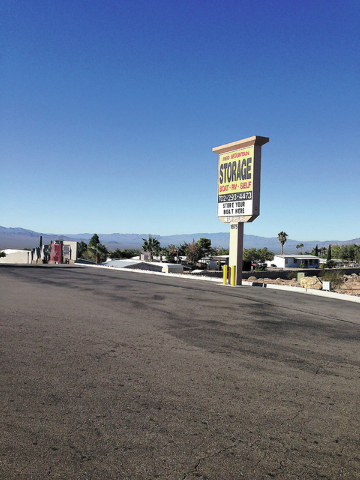 Red Mountain Storage on Nevada Highway behind the Rebel Gas Station has been sold for $5.2 million, according to the two holding companies that bought the facility. Las Vegas-based MVP REIT and Vestin Realty Mortgage II bought the 299-unit, 5-acre facility at 1675 Nevada Highway, behind Rebel and Red Mountain Plaza for $17,391-per-unit. The 23-building self-storage complex totals 112,000 rentable square feet. The sale price equals $46 per square foot. The facility, which consists of 288 single-story units and 11 open recreational vehicle spaces, is more than 97 percent occupied. MVP REIT will own 51 percent while Vestin will control 49 percent through a jointly managed limited liability company. The acquisition is the third major purchase along the highway this year. Marshall Plaza, 1680 Nevada Highway, was acquired in February for $1.5 million, and the old Kentucky Fried Chicken, 1620 Nevada Highway, building and land was purchased for $723,800. That ¾ of an acre property is being converted into a Winchell’s Donut House.